A long overdue update, albeit a brief one. 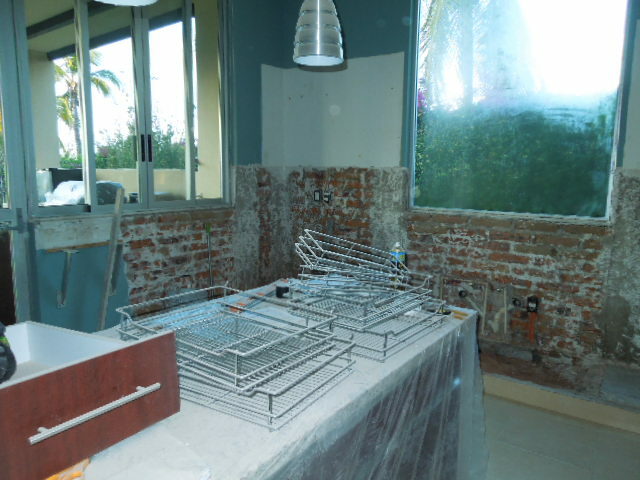 It’s crazy to post things about remodeling, but some faithful readers have asked how things are going with our “gran obra”, so here’s where we are (god help us). As with so many remodeling projects, we have had a few unwelcome surprises, and one of them was in our kitchen. Behind the cabinets they found a bunch of horrible black mold along the outside wall. Smelly and pretty disgusting, if truth be told. 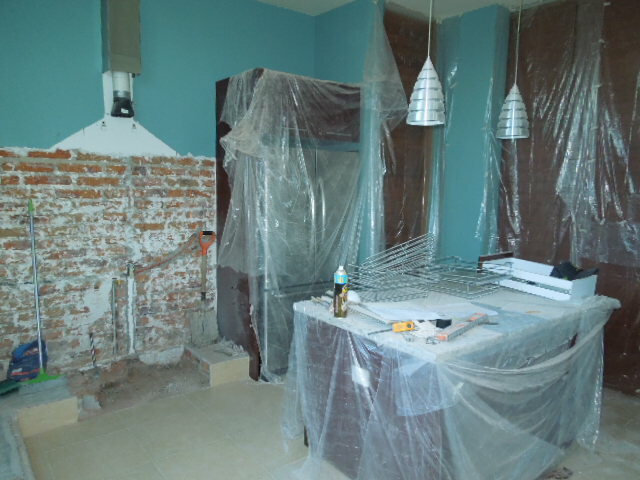 When the guys dug in there and pulled everything out, it appeared that for some insane reason rather than using concrete on the walls for the kitchen interior the original builders had used plaster, which is of course the biggest moisture-magnet there is. The cabinets went up against this, and whatever moisture there was is trapped in there, rotting the cabinets and causing other problems. This wall faces the garden where of course there is irrigation, rain, and so forth. I was telling the chief guy on our crew, Antonio, when he discovered this awful black mold on the back of the cabinets that I have plaster molds I use in ceramics to drape slabs over for platters etc. precisely BECAUSE it wicks away a tremendous amount of moisture and hastens the drying of the clay. Anyway that has slowed us down by at least a week because they now have had to take the walls – all of them – down to the original brick to see how bad and where the mold is, then they will put a special moisture-resistant cement up over all of it, let THAT dry, before they can re-finish the walls and reinstall the cabinetry at its new, lower level. They are dropping all the granite-topped cabinets down a little over two inches, which sounds like not much but it will make a huge difference to my back over the years. Even ARNOLD said, the other day “you didn’t hear it here” (which is how he prefaces anything where he is going to admit he was hassling me unjustifiedly) “but these counters ARE high” (as he was slicing up a limon for his drink). I knew that the dropping of the counters and treating myself to a new stove was going to involve some moving things around in the kitchen. But I didn’t plan on having to anything this extensive. Nonetheless, we have had to deal with it, and here is what my kitchen looks like as of this morning….all the contents thereof are stacked and piled, (including the cabinets) out on the terraza, where of course they are becoming covered with dust mostly from what they are bashing out in the kitchen itself! We put my parents’ old microwave into service up on the outdoors bar counter (it is so ancient that it takes five minutes to heat up a bit of water for coffee), the toaster oven got moved out there, the little dorm refrigerator is coming in handy, the coffee grinder etc. So you get up in the morning and put on a robe and go outside to make coffee and fix some breakfast al fresco as best you can! I am having to feed the cuatro gatos and Reina in the living room because the kitchen is all covered with plastic and closed off. Then the lock to the second story hallway door disintegrated and fell down into the door so we are having a helluva time keeping it closed and animals off the open roof till the aluminum guys show up to repair it. So far with the remodeling in the New Year, 1 cat got out, 1 cat threw up all over some really nice art books, one cat fell off the balcony down one level into the front garden fountain (Rosie the little Abyssinian – she survived the fall just fine but once rescued from the water, slithered off to groom herself, beyond embarrassed that she was seen in public with wet legs and tail). Arnold can’t even FIND his vodka bottle (kitchen contents all stacked up in piles outside on the terraza) and with half a dozen workers tromping around all day, all hell continues to break loose here. We will have to continue camping out like this for a couple more weeks, I am sure. Of course now the kitties aren’t allowed out there after Rosie’s misadventure so they are really pissed off and being aggressive with each other again because the constant banging, dust clouds, and drilling through cement with power saws affects them too, the racket much of the time is horrific. Anyway onward and upward. One of the guys is busy replacing chipped and stained old tile in my shower, and since he’s in there basically from 8 till 6 I have moved into the guest bathroom for the moment. So at either end of the house there are people working and we just kind of huddle where we can in the middle. Arnold is eagerly starting to pack for his annual bachelor trip to New York to see a bunch of theater and opera. After years of dealing with the snowy Santa Fe winters, I opt out of anything involving even the remote possibility of snow, but off he goes to run around happily in New York for at least a week every winter. 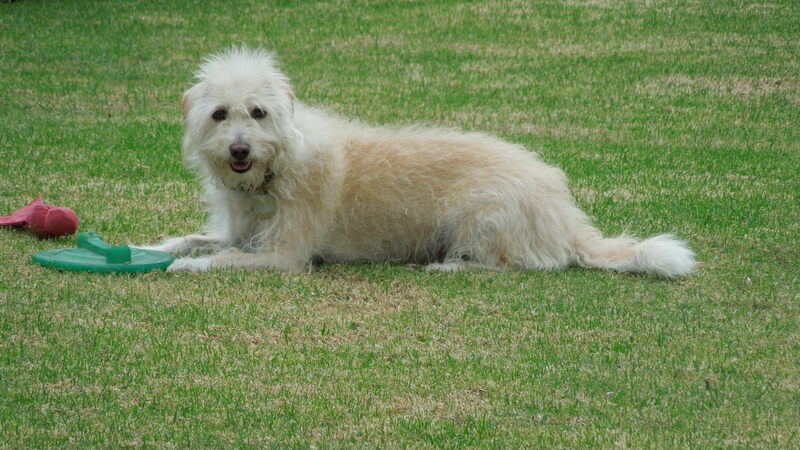 And I con him into bringing me back whatever I absolutely MUST have from the States, of course. He at least knows he is OUTTA here at 5 a.m. on Saturday, leaving me to deal with the ongoing racket and mess while he is gone. But I don’t mind, I can actually see the proverbial light at the end of the tunnel once these last few projects are completed. So that’s the report in a nutshell. Wish I had something more philosophical to say about all of it, but all I can report for the moment is that I am counting the hours till – much as I am fond of these guys – all of them are gone and I can begin to enjoy the house and figure out what my next Big Project might be. Stand by!